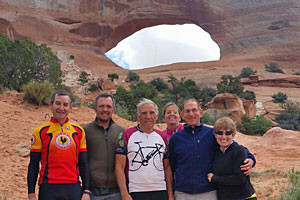 Devil's Garden Campground is an advenure unto itself, but, if all the sites are booked, remember that Moab has great camping areas that provide easy access to the park. Make Reservations Online. Devil's Garden Campground is open 365 days a year. Camp sites 1-24 are available on a self serve basis during the winter season. RV sites are available-30 foot maximum. 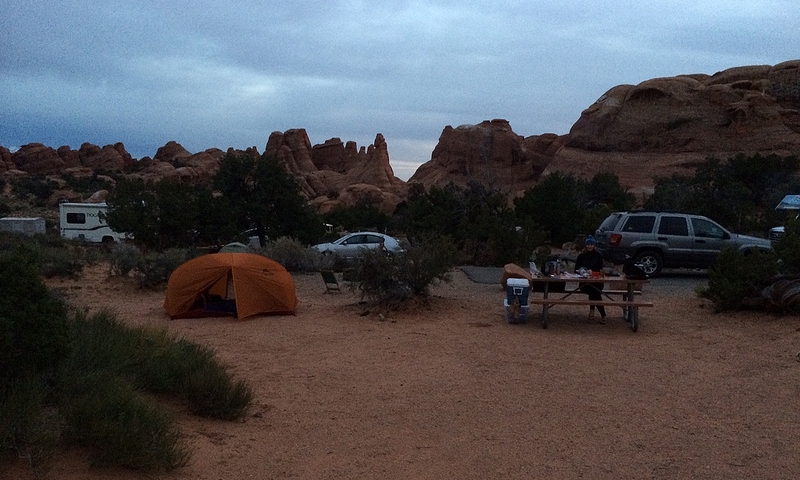 Arches has one campground tucked eighteen miles into its 73000 acres. 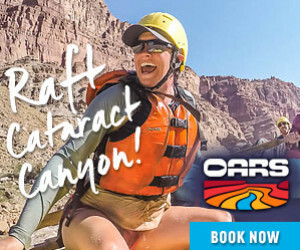 During the summer season (March 1 to October 31) reservations for both group and individual sites must be made at least 4 days in advance. From November 1st to February 28th, 24 sites are available on a first come first serve basis. With over 50 individual campsites and activities ranging from fishing and paddling to hiking the Upper Trail, Devil's Garden is a great place to start your Arches adventure. Remember to plan ahead to get a spot. Note: There are no showers at Devil's Garden Campground.